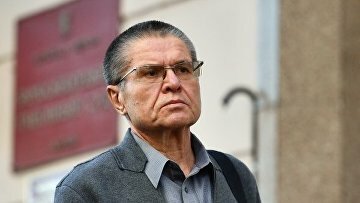 Moscow court withdraws attachment of ex-minister Ulyukayev’s assets | Russian Legal Information Agency (RAPSI). MOSCOW, February 14 (RAPSI) – The Zamoskvoretsky District Court of Moscow on Thursday lifted an attachment of assets belonging to the former economy minister Alexey Ulyukayev sentenced to 8 years in prison for corruption, RAPSI reports from the courtroom. The court granted Ulyukayev’s motion due to the payment of a fine imposed on the convict as part of his sentence. The former official’s property freed from the seizure includes land plots, a residential house, a car and other valuable objects. In late October, the court held that the seizure of monetary assets belonging to Ulyukayev could be lifted. The ruling thus enabled a fine imposed on Ulyulayev as part of his sentence to be collected by bailiffs. The former economy minister’s property was seized further to two court decisions issued in November 2016 and January 2017. Ex-official was sentenced to 8 years in high security prison and a 130-million-ruble fine (about $2 million) on December 15, 2017. Moscow’s Zamoskvoretsky District Court held that his involvement in the bribery was proven by witnesses’ testimony and other examined evidence. The defendant’s words about innocence were regarded as attempt to evade criminal liability. Later, the Moscow City Court upheld the prison term for Ulyukayev despite slightly changing the sentence itself. The defendant stated that the case was fabricated. He noted that there was a provocation, orchestrated by FSB and that there was no sound evidence in the case, aside from testimony provided by Rosneft CEO Igor Sechin. 12:30 14/02/2019 The Zamoskvoretsky District Court of Moscow on Thursday lifted an attachment of assets belonging to the former economy minister Alexey Ulyukayev sentenced to 8 years in prison for corruption.